Please read these Terms of Service (&apos;Terms&apos;, &apos;Terms of Service&apos;) carefully before using the pohwah.com website (the &apos;Service&apos;) operated by Poh Wah Trading Company | Supplier of all types of grocery in Malaysia (&apos;us&apos;, &apos;we&apos;, or &apos;our&apos;). Shipping and handling, if applicable, are additional unless expressly indicated otherwise at the time of sale. We will not be held any responsibility for any loss or damage of item caused by carrier service companies, or inaccurate or incomplete shipping address given by you. Shipping dates are only estimates and we accept no responsibility for situations resulting from a longer-than-estimated build or shipping time. You are responsible to ensure the item(s) delivered by carrier service companies are matched with your placed order, as well as the condition of the item(s), when you received at current time. You must report to us immediately once you found out your order mismatched with your received item(s). We will not accepts any responsibility for missing or damage item(s) after you received the item(s). Our Service may contain links to third-party web sites or services that are not owned or controlled by Poh Wah Trading Company | Supplier of all types of grocery in Malaysia. Poh Wah Trading Company | Supplier of all types of grocery in Malaysia has no control over, and assumes no responsibility for, the content, privacy policies, or practices of any third party web sites or services. 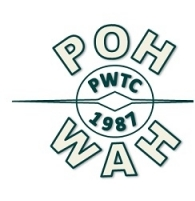 You further acknowledge and agree that Poh Wah Trading Company | Supplier of all types of grocery in Malaysia shall not be responsible or liable, directly or indirectly, for any damage or loss caused or alleged to be caused by or in connection with use of or reliance on any such content, goods or services available on or through any such web sites or services. We strongly advise you to read the terms and conditions and privacy policies of any third-party web sites or services that you visit.